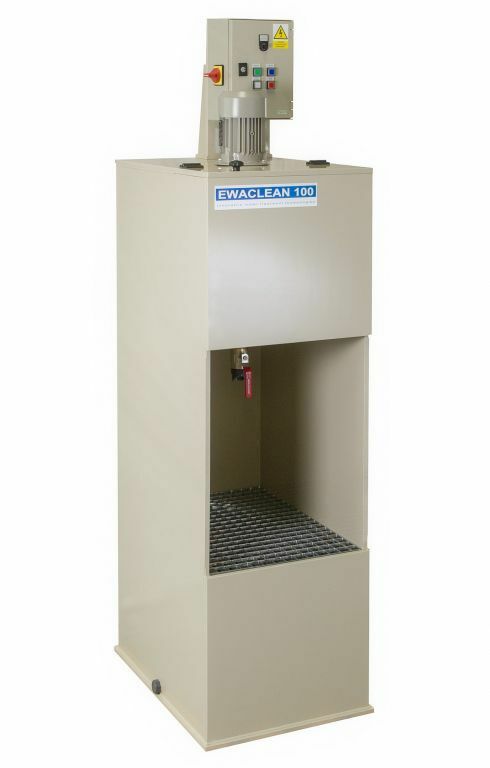 Centrifugal decanter / vertical / for wastewater - EWACLEAN 100 - EWAC spol. s r.o. 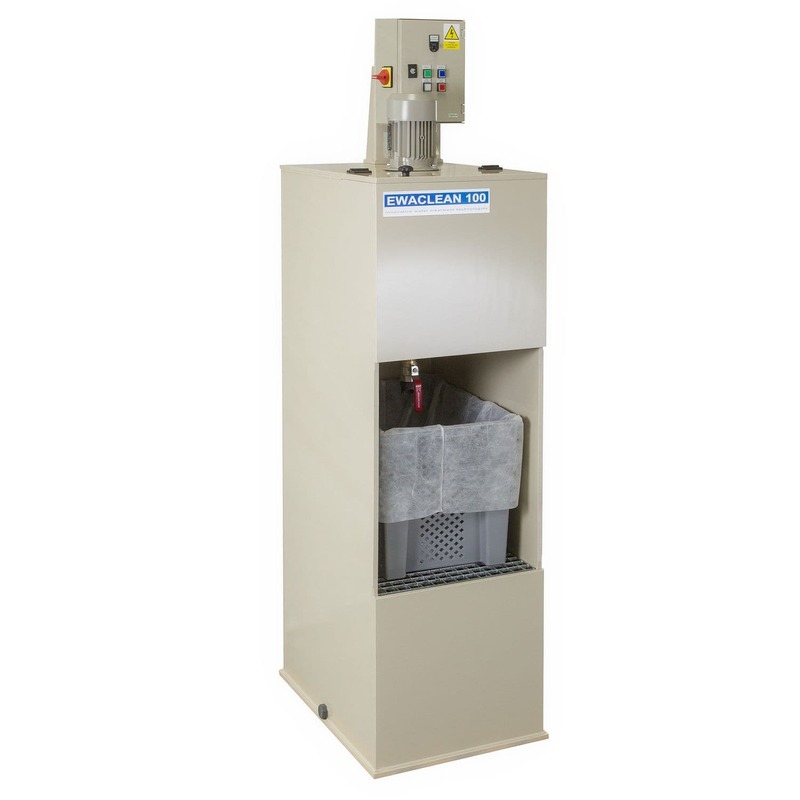 Hydraulics - Pneumatics > Filter and Separator > Centrifugal decanter > EWAC spol. s r.o. EWACLEAN 100 EWAC spol. s r.o. A compact device intended for cleaning of rinsing and waste waters containing waterborne paints, emulsions and adhesives. The device works in semi-automated operation. Performance: approx. 100 – 200 litres / 1 hour. The device is designed for operations with a small production of waste waters. Rinse water is pumped into the reactive part of the device. The process of mixing is initiated on the control panel. This causes homogenization of pumped waste water. During mixing, the relevant quantity of proposed reactive product is dosed manually. The mixing process automatically ends after about 10-15 minutes and the sedimentation process starts. After the end of sedimentation (approx. 10 minutes), the draining ball valve PVC DN 50 mm is opened. The entire volume of the reactive part is released through the draining boxes with a filtration bag. Cleaned water is automatically pumped to the sewerage system. The captured sludge is thoroughly drained in the filtration bag after about 30 minutes.